You have always loved her cooking. Always compared her dish to a restaurant recipe when you tried it. She has mastered he art of cooking over the years and with the love she puts in the food she makes the dishes actually turn out better than what you eat anywhere. 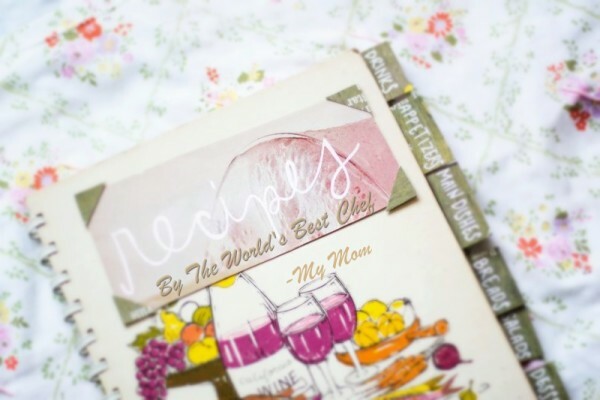 Why not immortalise her recipes for yourself and for others? Imagine how delighted she would be to see a recipe book as an author. 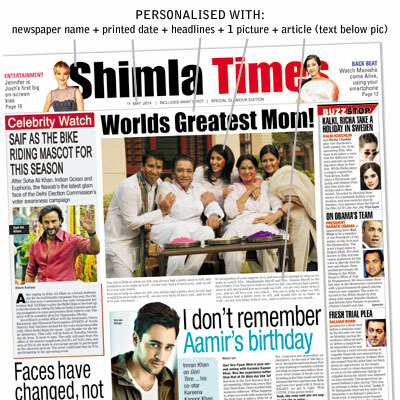 Show the world how much you love her: Get this truly amazing personalised newspaper front-page print that has your choice of newspaper name, headlines and other details. With it’s permanent print and great quality it makes the best possible gift on any special occasion. You can either fold the print over a real newspaper to surprise someone or frame it. There are a lot of websites offering this. Frame the memories : A collection of some of the best moments you spent with her through your growing years can be another precious gift for your mom. You can create an album with pictures from your birth to your first day of school, vacations that you spent together. The day she saw you off proudly when you went to college or her teary eyed picture on your wedding day. This DIY gift can be a precious one for her. Spa Date With Your Mom: Relaxation and pampering is the best gift you can give her and what better if you book a massage for her and yourself together. It could end up in some girlie fun. You can spend some quality time together and even head out for like an after spa meal/ drink. 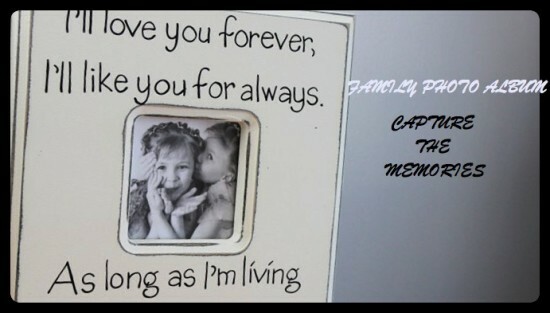 A Scrapbook / Video :Gift her a customised video with people telling what they like about her. They can either contribute by making a selfie video or writing on the scrapbook. I did this for my mom’s 60th birthday and she still treasures the scrapbook. Nothing like giving your mom credit for the wonderful person she is. Everyone loves appreciation and she deserves it. A Surprise Party For Your Mom: Who doesn’t like a good surprise? Set up an an ‘Angel from the heaven’ theme party. Set up the dining area with whites and sky blues. Get a halo ready. Blind fold your mom and take her to the surprise area (could be set in the dining room or garden if you are lucky to have one). When she enters – stretched out is a happy mother’s day banner (or better if you make it read “WORLD’S BEST MOM”). Set the halo on her head. Highlight: make and set up some clouds and take mom’s pics with them. And if you want someone to do this for you then check this site out. Gift Her Health: While she would love all the above gifts, I think her health takes priority. Modern moms manage everything with an unmatched efficiency. She knows the slightest change, development happening in the outside world but hardly has any clue what’s happening inside her body. She often, rather always, forgets giving herself and her health priority. Its time, we start respecting her health and stop taking her for granted. GeneSupport has designed a special Oestrogen panel for women. The oestrogen panel helps identify any future possible chances of breast cancer development. A simple swab test is taken and an in depth study on genes is done from the result. Based on the results; women are given personalised diet recommendations, life style modifications and necessary therapy, depending on gene variations, associated with breast and prostate cancer development. Health Socks: Trust me when I heard of these also, I was unaware these existed. But they sound useful. Mustang Socks and Accessories have come up with Health Socks (especially Diabetes Socks), which are made out of utmost care and comfort for our beloved mothers. Diabetic socks are different from regular socks in terms of the material and quality. Diabetic socks are made up of synthetic Lycra or man-made fibres which have good elasticity as well as moisture absorption as compared to pure cotton socks which do not have much to offer when it comes to moisture control. I hope you like these ideas, they are fun and easy on the pocket. Moreover, a personalised and a thoughtful gift always works better than just buying your mom a gift. I am sure your mom would love these. If you have any ideas to add onto these, please feel free to comment and if you used these and found them helpful, do let us know. Mothers Day Is A Wishful Dream ! « Finally A brand for boys! Cool post. I liked the first tip. So do-able.